New Delhi, June 27 (IANS) How about a wedding at Disney Land? A couple’s magical dream came true when their search for a wedding venue ended at Cinderellas Castle for which an Indian wedding planner company has been roped in. Mpire Events will become the first Indian wedding planners to set foot in Walt Disney World with the wedding. Bride Jennie Jethwani hails from London and Roshan Nainani is from New York, now settled in Los Angeles. Jennie and Vikram Mehta from Mpire Events have been friends and work in the same industry. She always had the love for Disney and its characters. But once she found her prince charming in Roshan, a destination wedding at Bahamas was on the cards. Now with less than a month to go, Mpire is all set to be the first-ever Indian wedding planners to do a wedding at Disney’s Magic Kingdom. The guests will be hosted from July 20 to July 23 at the Renaissance Orlando at Sea World, said a statement. The first night, that is the Sangeet will be a fusion of traditional and western impressions while the wedding will be held at the Wedding Pavilion, a castle inside the Disney property created around a lake and white sands. 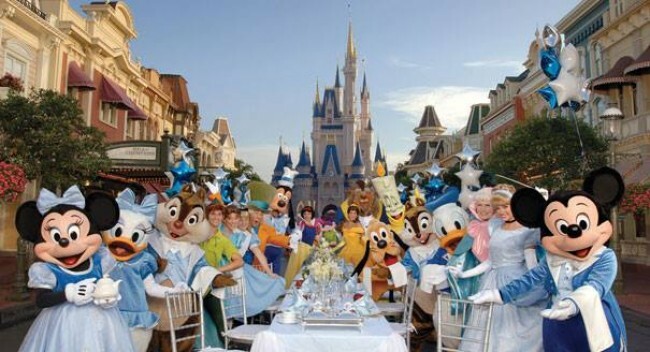 The Reception will be held at the Contemporary Ballroom at Disney. “This is just the beginning. I would be able to tell you a lot more after the wedding, but for now I can tell you – Disney Land isn’t just another place on earth. It’s different, it’s out of the ordinary, and it’s a happy place,” said Vikram.